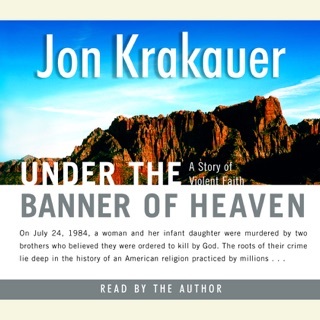 When Jon Krakauer reached the summit of Mt. 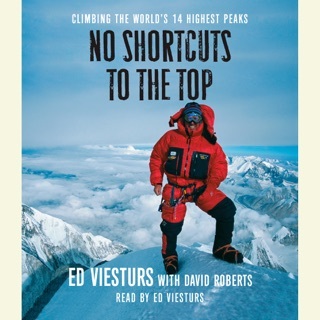 Everest in the early afternoon of May 10, 1996, he hadn't slept in fifty-seven hours and was reeling from the brain-altering effects of oxygen depletion. 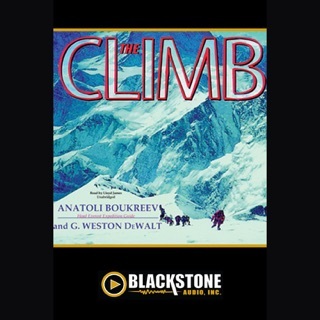 As he turned to begin his long, dangerous descent from 29,028 feet, twenty other climbers were still pushing doggedly toward the top. No one had noticed that the sky had begun to fill with clouds. 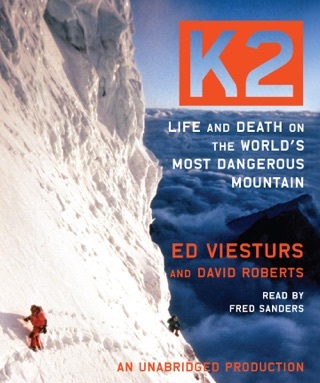 Six hours later and 3,000 feet lower, in 70-knot winds and blinding snow, Krakauer collapsed in his tent, freezing, hallucinating from exhaustion and hypoxia, but safe. The following morning, he learned that six of his fellow climbers hadn't made it back to their camp and were desperately struggling for their lives. When the storm finally passed, five of them would be dead, and the sixth so horribly frostbitten that his right hand would have to be amputated. 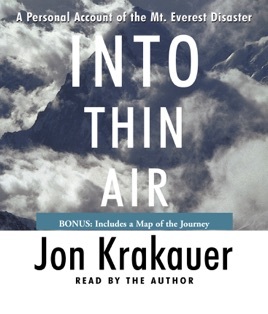 Into Thin Air is the definitive account of the deadliest season in the history of Everest by the acclaimed journalist and author of the bestseller Into the Wild. On assignment for Outside Magazine to report on the growing commercialization of the mountain, Krakauer, an accomplished climber, went to the Himalayas as a client of Rob Hall, the most respected high-altitude guide in the world. A rangy, thirty-five-year-old New Zealander, Hall had summited Everest four times between 1990 and 1995 and had led thirty-nine climbers to the top. Ascending the mountain in close proximity to Hall's team was a guided expedition led by Scott Fischer, a forty-year-old American with legendary strength and drive who had climbed the peak without supplemental oxygen in 1994. But neither Hall nor Fischer survived the rogue storm that struck in May 1996. 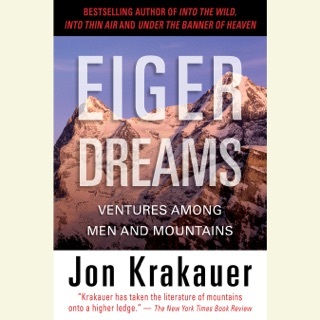 Krakauer examines what it is about Everest that has compelled so many people -- including himself -- to throw caution to the wind, ignore the concerns of loved ones, and willingly subject themselves to such risk, hardship, and expense. Written with emotional clarity and supported by his unimpeachable reporting, Krakauer's eyewitness account of what happened on the roof of the world is a singular achievement. 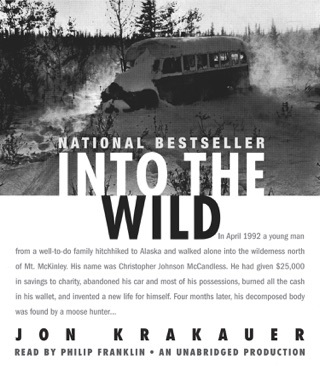 Into the Wild is available on audio, read by actor Campbell Scott. Krakour did it again, this book is a must read! Everything was fine until about halfway into the book and it just stopped talking/playing. Overall good book. Well written.